Those who lose their lives serving our country deserve to be honored. 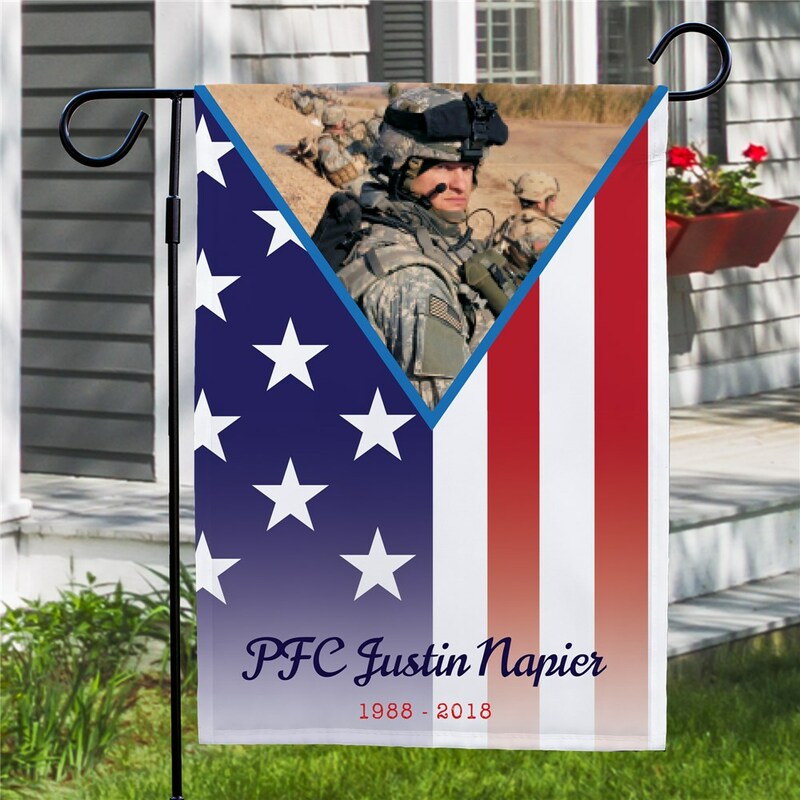 This memorial garden flag will honor your fallen soldier and keep their memory and service close to your hearts and in your spirit. This design may be printed on our one sided or double sided, durable, all-weather 100% poly garden flag that measures 12 1/2"w x 18"h. You may wish to display this flag on our optional garden flag pole, door hanger or window hanger, sold separately. Free personalization of any name, dates and a photo is included. For production purpose, please enter a description that best describes the photo you are uploading. I was so pleased with this flag to honor my daddy who was a Vietnam veteran. I've ordered about 10 over the past year for family and also to put on his grave. The colors are vibrant, the flag is made very well and holds up in all sorts of weather. I absolutely LOVE my personalized garden flag. I put it as my profile on Facebook and have gotten numerous likes and love. Very pleased with the material and the price was unbeatable!! Wish I could show a picture of it. Thank you very much! I was very happy with my personalized military pride photo flags. 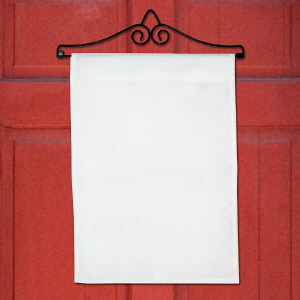 The pictures were clear, the fabric was good quality, and the printing was clear and readable. I posted a picture on FB of my flag as did my brother with the flag I gave him and we have both had request for where we got them and were happy to share your site. Additional Details This memorial garden flag is a touching memorial gift idea for someone who has recently lost a loved one who died while serving our country. 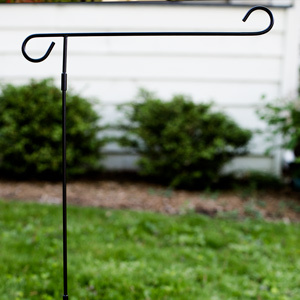 Fallen soldiers deserve to be honored, and this garden flag does just that. 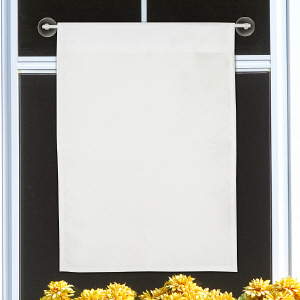 Our Personalized Forever In Our Hearts Garden Flag is another memorial garden flag option.